“Congenital” denotes something that exists at birth. The heart forms abnormally during fetal development. And while “Congenital Heart Disease”, “Congenital Heart Defect” and “CHD”* are used interchangeably, what is being referenced is a structural abnormality that prevents the heart from functioning optimally. In the United States, approximately 1% of all babies are born with one or more CHDs (40,000 annually). This makes CHDs the most common type of birth defect. What is the significance of a CHD? The effect of a CHD can vary. 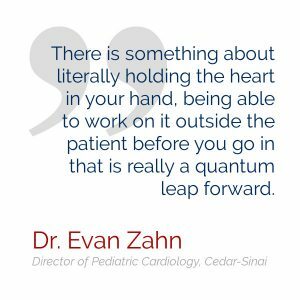 Of those 40,000 babies diagnosed with at least one CHD in the U.S., over half of them will outgrow their CHD, and will not require any surgical intervention. And over 85% of all children diagnosed with a CHD will live to at least 18 years old. However, about 20,000 will require surgery at some point in their lives, and nearly 5,000 will not celebrate their first birthday. 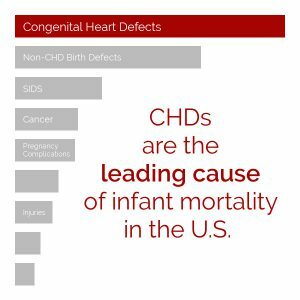 CHDs are both the most common birth defect and also the leading cause of infant mortality. 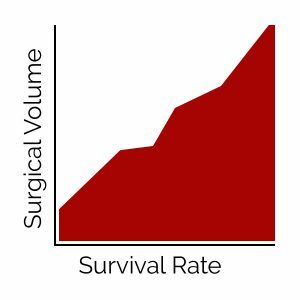 The volume at a pediatric cardiac surgical center correlates with mortality rate; the more pediatric cardiac surgeries a hospital/surgeon does, the better s/he is and the risk of death decreases. This dovetails with Malcolm Gladwell’s “10,000 Hour Rule”- “10,000 hours is the magic number of greatness”. Or in other words “practice makes perfect”. Medicaid is the largest healthcare provider for children in the United States; 40% of all children rely on Medicaid or its partner program CHIP; 50% of kids with complex health needs rely on Medicaid and CHIP. Babies born with defects that rely on Medicaid coverage are nearly 50% more likely to die in the first year of life than their privately-insured counterparts. It is possible to take 2D images from MR and CT scans and transform them into a 3D replica of a patients’ heart, which can then be printed. By creating a replica of a patient’s heart, doctors can brainstorm and even practice surgery on flexible models before entering the OR. This sort of simulation can transform “inoperable cases to operable”. To learn more about 3D-printing and other technologies that are transforming the treatment of congenital heart disease, watch this video and check out our Resource Library. 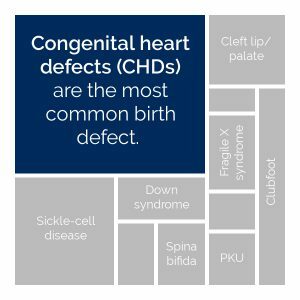 About 25% of babies born with at least one CHD are also born with other birth defects or genetic disorders. However, most cases of congenital heart disease have no identifiable cause and are considered to be the result of many factors, both genetic and environmental, resulting to produce the CHD. Many mothers blame themselves for their child’s diagnosis, straining to remember the smallest details of those first few weeks of their pregnancy in search of a reason. But for most women, this search for such an explanation is futile. What is important is that they are healthy and centered for their family, and do everything they can to ensure their child will have the best chance for a happy and healthy life.